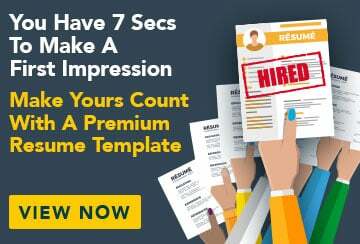 This free sample cover letter for a paralegal has an accompanying paralegal sample resume and sample job advertisement to help you put together a winning job application. I am writing to apply for the position of full-time paralegal as advertised on SEEK.com on 20 November 2009. I have recently completed my BA/LLB degree at the University of Melbourne, graduating with a grade point average of 6.8. The combination of my qualifications, work experience and passion for the legal industry would make me a valuable asset to your firm. After being chosen from 200 applicants to complete a summer clerkship with Blake Hindley Lawyers, I was then offered a position as part-time paralegal for the remainder of my degree. Following this, I then had the option to accept a full-time position as paralegal with Blake Hindley but I have turned this down as I am looking to relocate to Sydney. The experience I have gained whilst working for Blake Hindley has been invaluable to my career in law. My workload is challenging and varied and includes legal research, writing articles and attending court cases. This role allowed me to develop my research, analytical and problem-solving skills as well as my knowledge of the legal system. I have been able to practise and develop my leadership skills as I am often called upon to monitor the case assistants. It has also given me the opportunity to work autonomously on more complex files, where I was able to foster successful working relationships with colleagues and clients. I have also developed my practical legal skills as a volunteer at Delta Community Legal Centre. In addition to increasing my understanding of common legal problems affecting ordinary people, the experience reinforced my dedication to professional and equitable legal representation for all. I have excellent oral and communication skills and was awarded the Kayson Medal for best final year law essay at university. I’ve been a member of the Melbourne University Debating Society for five years, two of which I was president. Our team has achieved great success winning the Samuel Freeman Cup for three years running. I am now eager to apply all I have learned in an innovative and growing firm that values initiative and hard work. I have enclosed my resume and I look forward to being able to discuss the position with you further at an interview.